200mm Sieve, All Stainless, Full Height, 56mm - Gilson Co.
200mm diameter ISO Test Sieve has stainless steel woven-wire cloth with 56.0mm openings and full height stainless steel frame. Each sieve is individually serial numbered. Overall height is 2-5/8in and stacked height is 2-1/8in. 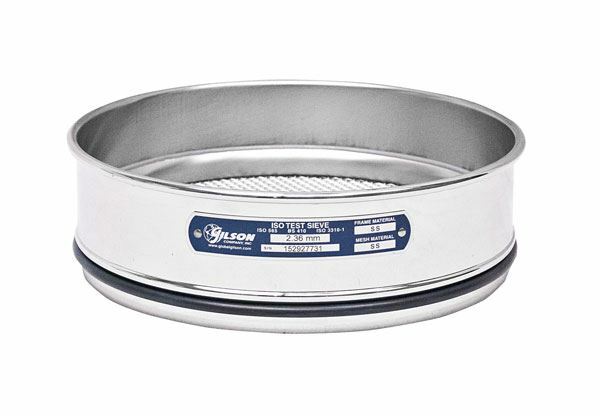 8" Sieve, Brass/Stainless, Full Height, 5/8"